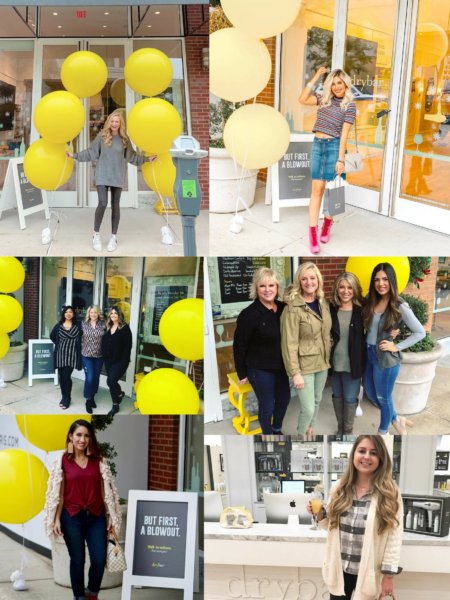 Home › What’s Happening › Blog › We’re obsessed with our new Drybar and you guys are too! We’re obsessed with our new Drybar and you guys are too! It’s no secret that we’re “blown” away by the newest Market Street retailer, Drybar, and you guys are loving it too! No cuts. No color. Just blowouts! Each blowout includes a wash, blow-dry and style while you relax and enjoy chick flicks and a complimentary glass of champagne. “It’s official!! We finally have a @thedrybar in my town and I may never wash and dry my own hair again!” –Ashley of Fancy Ashley. “Feeling like a brand new lady thanks to the talented people at @thedrybar!! Yay! To the new Drybar opening in The Woodlands!! This place is soooo good!!! All my Woodlands friends treat yourself because we’re worth it! !” –Angela of Pretty In Her Pearls. See what the “heat” is all about for yourself!